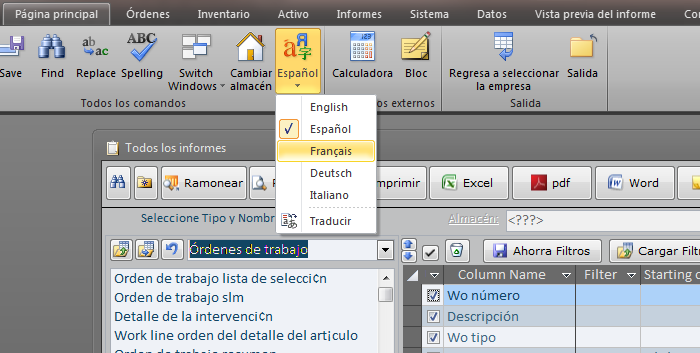 You can switch between languages on the fly. It means, there is no need to close the screen. 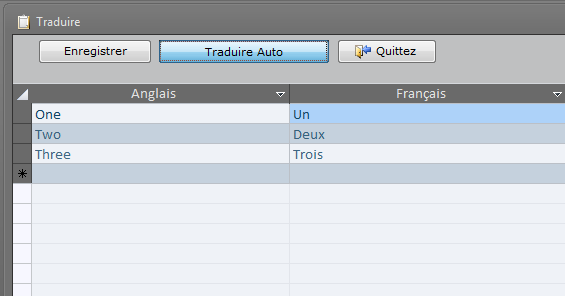 However, if not all labels or list entries get translated on a specific screen, just close and open it again. We realize that the translation is not perfect. It is a "robotic" after all. If you feel something was not properly translated, open a second company like our test XYZ Corp, switch it to English and find screen (report) label or list entry. See how it reads in English. Switch back to your live company, go to the Home/[Your Language]/Translate. 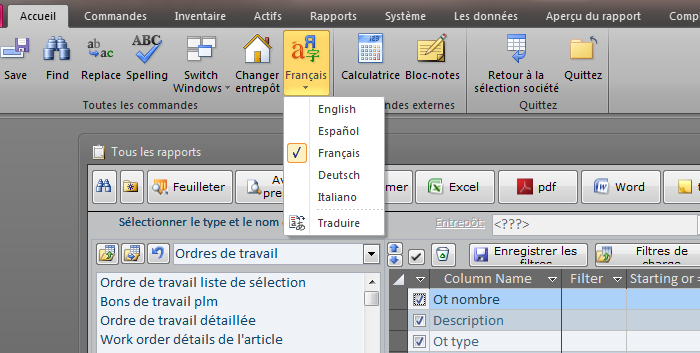 Input the English word or phrase, input the translation in your language, click the Save button. You can even use auto-translation. 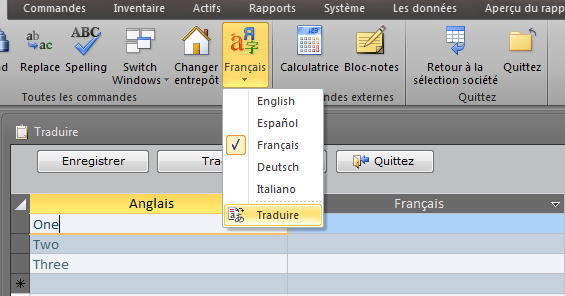 Fill out a few rows with English phrases only, click the Auto-Translate button and wait. This is if you have the internet connection, of course. Do not forget to click the Save button before closing the screen.